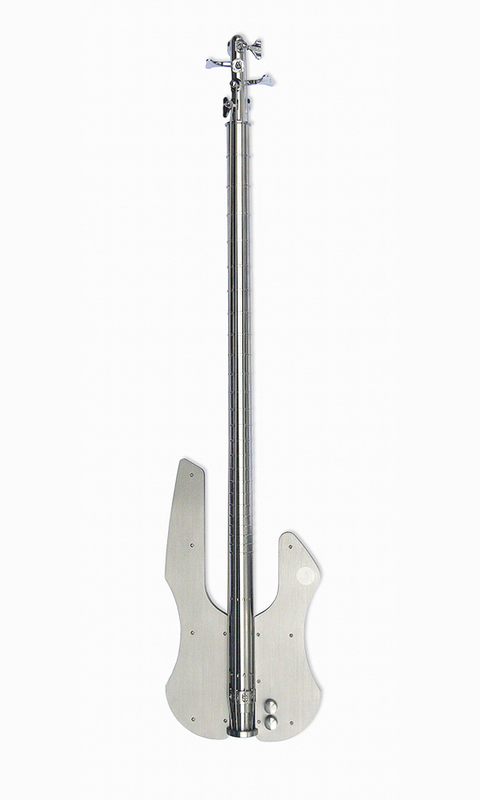 The Stash Stainless is the only bass guitar that is made from stainless steel with unified frets and a tubular neck design. Each piece of the guitar has been custom crafted and hand assembled by the designer, Stan Potyrala. 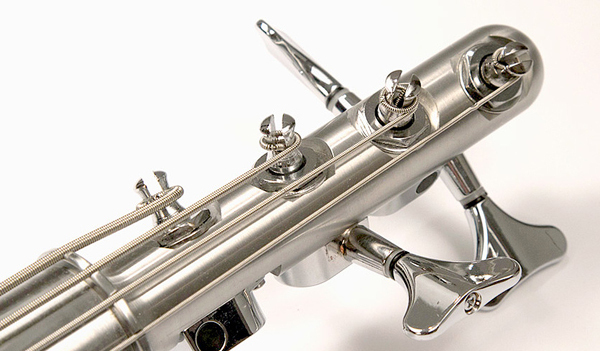 “The design is not only distinct, sleek and modern, but the unique tubular neck presents the fingers of the musician to a parallel array of strings around a circular radius. 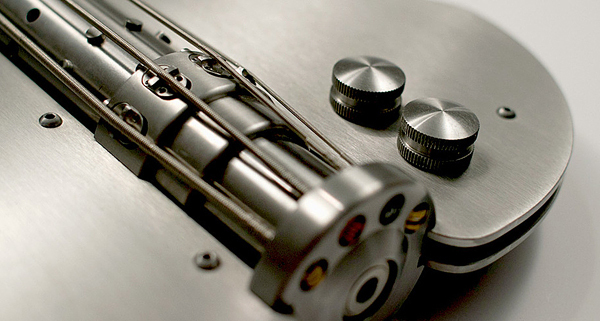 This allows access of the fingers to each string in a more natural and comfortable way. This design can ease the muscle stress that a flat surface can cause to the fingers, hands and wrist. The composition of the entire instrument (body, neck, bridge and strings) are of the same metal – having one coefficient of thermal expansion. This eliminates relative dimension changes as a result of extreme temperature shifts. 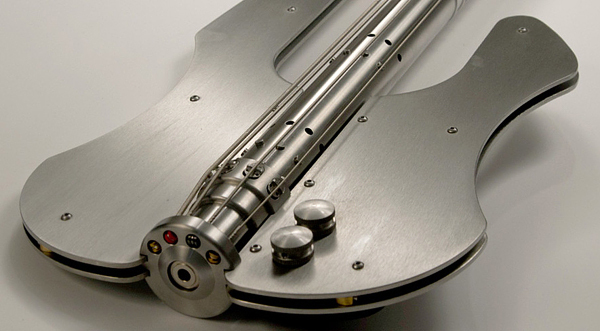 This means your bass will stay in tune much longer than conventional basses. 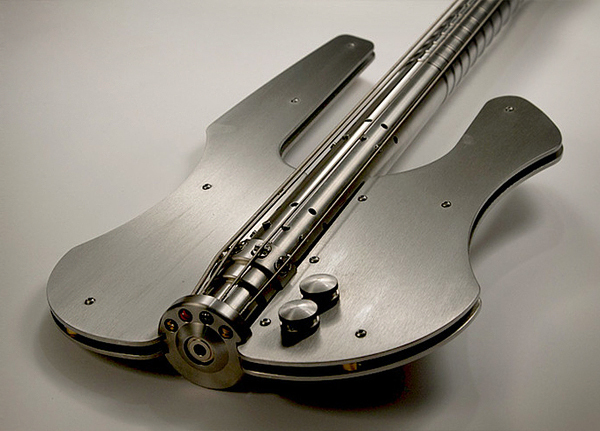 The design improves stiffness, mechanical and environmental stability, sound quality, tuning and mechanical accuracy.” Want to own this unique stainless steel bass guitar – be ready to pay for this limited edition item $3000. Guitar reviews can greatly help especially for the people who want to buy their instrument. In this way, they can determine if it is in good quality and condition. 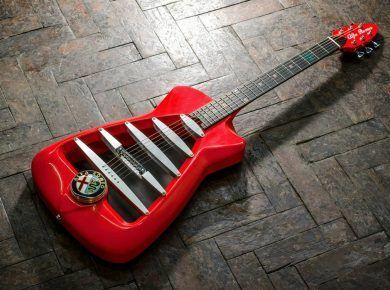 This bass guitar looks very unique! Thanks for sharing.